With official word from LG confirming that we can expect to see the G3 launch in Q2 of this year, it’s about time that the leaks start piling up. Thanks to @evleaks, we are getting another look at the backside of the G3, this one being more of a macro shot of its rear-facing buttons. As a community, we somewhat assumed that LG would stick to its rear-facing key design, given that the previously seen isai FL was reportedly a design starting point for the G3. If that does in fact pan out, and the G3 features a bezel-less type display and body, we know quite a few among our readers who might be waiting in line for this new flagship. From what we see in this picture, it appears that the keys (volume up and down) are a bit more flush with the backside of the body, while the power button stands on its own and looks to be made of metal. 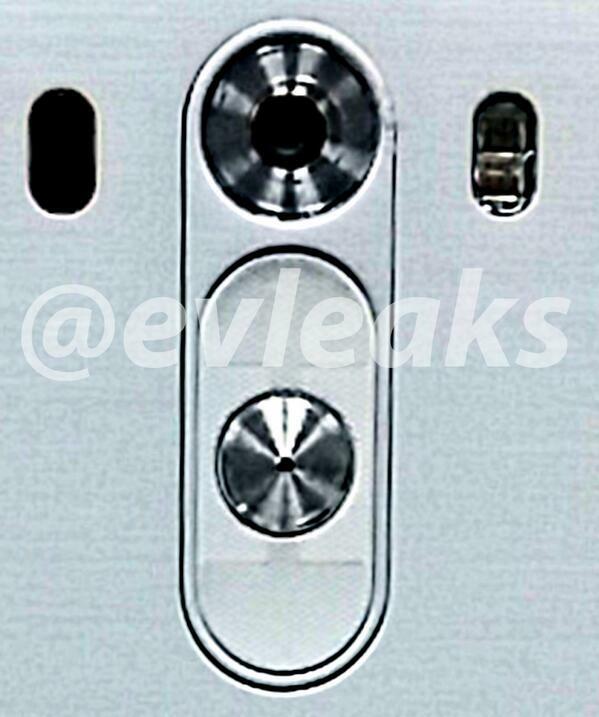 The device will feature dual-flash, and it appears that the phone’s IR blaster will also be along the backside. The camera is pictured as well, showing off a very metallic frame. If anything else for the G3 pops up, we will be sure to post it.